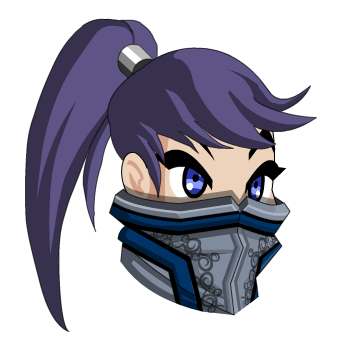 Description: Long flowing locks, pulled back in a right dangerous ponytail, accent your armor. Don't be fooled, as this is a weapon too. Areas in grey are Color Custom to Base Color. Areas in blue are Color Custom to Trim Color. Also see Shorn Legacy Hair. Thanks to Haileym1 and Jo_ker76.